H.R. 4166, the “Expanding Proven Financing for American Employers Act,” would create new exemptions from the rules in Dodd-Frank that require the financiers packing up new securities to retain a stake in their new products – rules put there to ensure that they have skin in the game. The bill would allow financial firms that package up a product known as a “collateralized loan obligation,” or CLO for short, to escape the requirement that they hold onto a piece of the CLOs risk – a requirement to hold 5% of the total risk of the CLO, to be exact. “I’m baffled by legislation such as this… the 2008 crisis was caused – in large part – by mortgage companies that originated loans to borrowers that had no ability to repay…To address this problematic “originate to distribute” model, Dodd-Frank included an important component known as risk retention, or “skin-in-the-game.” In essence, Congress told loan originators and securitizers to “eat their own cooking” before selling off their investments to others… H.R. 4166, takes us in the wrong direction, essentially exempting most securitizations of corporate loans from risk retention. …CLOs are often used to finance private equity takeovers of companies through “leveraged buyouts.” The industry advocated for the exemption contemplated in this bill when they wrote letters to the regulators during the comment period. What Rep. Stivers doesn’t mention is that the reason Wendy’s needs so much borrowing, and is apparently pushing for weaker rules – and the reason they are already so leveraged that they wouldn’t qualify for the exemption for responsibly underwritten loans that regulators have already granted – is that they are doing a massive stock buyback which cashes out their shareholders. Although the buyback benefits current shareholders, it comes at the expense of leveraging up the company massively and threatening the future of franchisees. In other words, this borrowing isn’t for hamburgers, it’s to make billionaire shareholder Nelson Peltz richer to the tune of hundreds of millions of dollars. Another problem with Stiver’s argument is that it assumes the CLO market is suppressed in some way and needs regulatory relief. But as AFR’s Policy Director Marcus Stanley pointed out in testimony before the Financial Services Committee last week, since the passage of Dodd-Frank in 2010, the issuance of new CLOs has not just returned to its pre-crisis levels – it’s exceeded them. 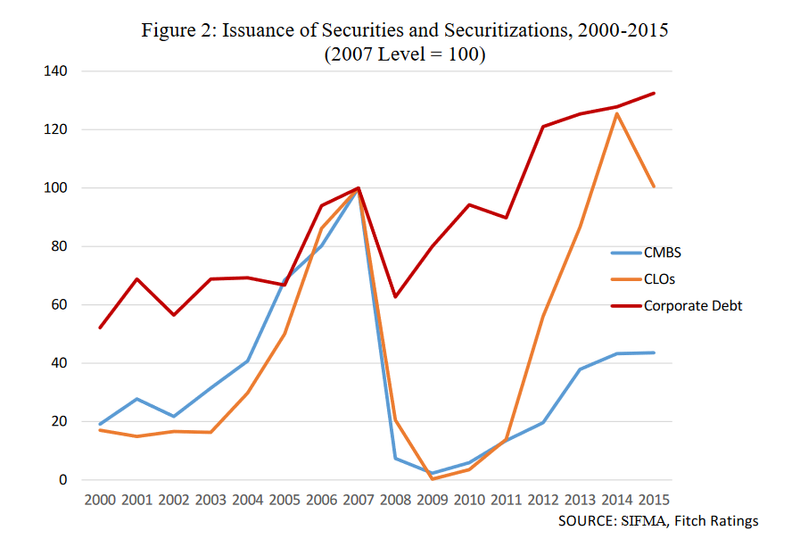 As the chart shows, the real threat to corporate debt issuance is a recurrence of the go-go, unregulated practices that led to the financial crisis – a crisis which effectively shut down CLO issuance for several years. Since the Dodd-Frank Act passed in 2010, CLO issuance surged again to levels that exceeded the pre-crisis peak. While declines have occurred recently, they are clearly traceable to changes in energy prices, changes in Federal Reserve interest rate policy, and other real economy factors. And Stivers’ also ignores the dangers created by H.R. 4166. These dangers were underscored in an opposition letter by AFR which pointed out that the bill would exempt from risk retention all kinds of risky and heavily leveraged securitizations of ‘subprime’ business loans. It’s a good thing that we don’t apply the same deregulatory zeal shown in this hearing to the food and restaurant businesses. 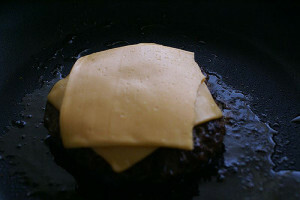 If we did, eating a Wendy’s cheeseburger could be a very dangerous experience. But even though we can’t taste it, the safety of the financial markets is just as important. This entry was posted in Attacks on Regulation and tagged collateralized loan obligation, foreclosures, HR 4166, risk retention by Admin. Bookmark the permalink.